GradesFirst released the Appointment Cancellations feature update this week, and upon initial review, it looks like exactly what we have longed for. We can finally put an end to the “disappearing” appointments in the GradesFirst system. As Academic Coordinators, I know we have all been frustrated when we go into one of our student’s calendars to find that the tutoring appointment we arranged for them has disappeared without a trace. With this new update, we shift from deleting appointments to canceling appointments. This may seem like simple word play, but in fact, there is a huge difference between the two. We will no longer delete appointments (DO NOT DELETE APPOINTMENTS). When an appointment is deleted, it disappears . . . forever. This is what we want to avoid. Instead, when we “cancel” an appointment, GradesFirst allows us to track the life-cycle of the meeting. A canceled meeting remains on the attendees calendars. We can track the reasons the appointments were canceled. We can now run reports to show us why and when appointments are canceled. And most importantly, we can determine who gets notified once an appointment is canceled. So the days of feeling left in the dark when an appointment is canceled are gone. Every Academic Coordinator will receive an email notification if one of their student’s tutor appointments is canceled. I encourage you to dive in and poke around the system. I’m sure you will be as pleased with the new update as I am. As always, feel free to contact me with any questions or for a guided tour of the new features. Click here for the complete GradesFirst Appointment Cancellations User Guide. This entry was posted in Digital and tagged Academic Coordinator on June 20, 2013 by coreysinbox. You’re an Institutional Staff Member. What does that mean exactly? Our subject tutors are very important to our operations and the academic success of our student-athletes. Most of you tutor in addition to maintaining very busy and hectic schedules as students and professionals. 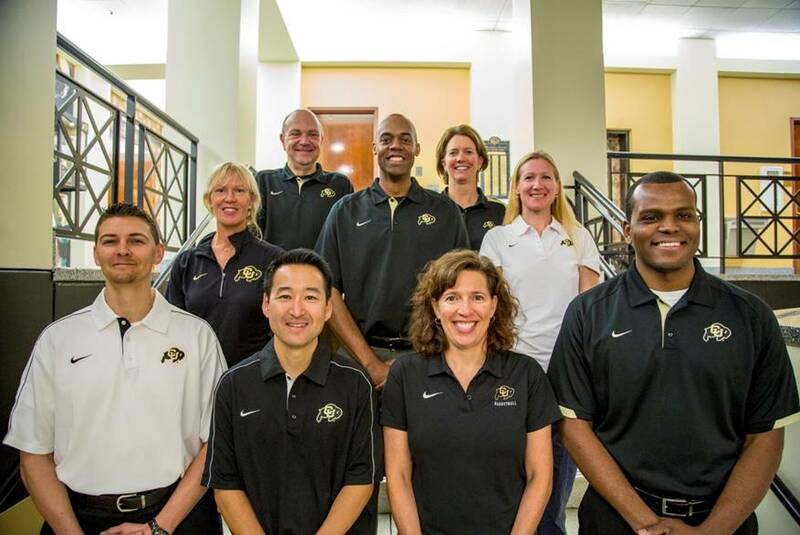 Although you tutor on a part-time basis, you are considered an “Institutional Staff Member” by the NCAA, and as such are held to the same standards as our full-time staff members in the HAC. If you are unsure of an action you are considering, please contact a HAC representative or the CU Compliance Office for clarification and a rules interpretation. Learning Specialist: Learning specialists provide support to students with both learning disabilities and learning deficiencies. Skill building in the areas of reading , writing and test taking are the primary areas of focus for Learning Specialists. In addition, assistance is provided in securing and implementing accommodations that may be awarded through the CU Office of Disability Services. Academic Mentor: In addition to all the qualifications of a subject tutor, Academic Mentors facilitate the student-athlete’s transition to college and help develop academic skills. Specifically, Academic Mentors teach and promote the development of academic success and skills ranging from time management, organization and prioritization. This entry was posted in Spring 2013, Tutor Tips and tagged Academic Coordinator, Academic Mentor, Athletics, extra benefit, HAC, institutional staff member, Learning Specialist, NCAA Rule, prospect, tutor tips, unethical conduct on January 24, 2013 by coreysinbox.